The Alamo is one of the most famous stories in Texas history. The story of the bravery of the defenders and the sacrifice they made for Texas is known throughout the world. 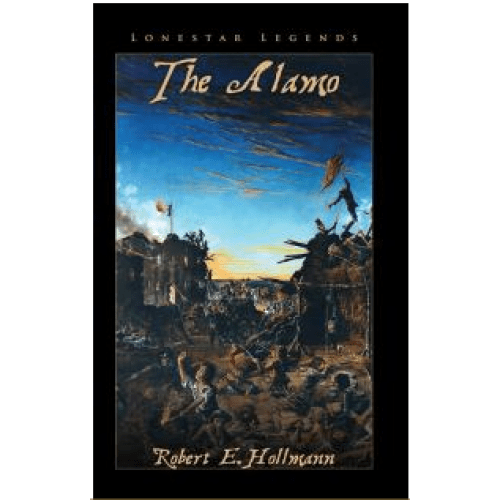 Come now and join two students, Nancy and Jimmy, as they travel with Lady Texas to that shrine of Texas liberty, when Santa Anna's troops surrounded the old mission. Be there when Travis answers Santa Anna with a cannon shot. Watch as Juan Seguin rides through the enemy lines to get reinforcements for the Alamo. Listen as Davy Crockett and John MCGregor battle with fiddle and bagpipe raise the spirits of the tired defenders. Cross the line with the men who chose to die so that Texas could be free, Fight in the final assault when men became heroes and heroes became legends. This is the sixth in a series of Lonestar Legends on Texas Heroes for children. Other books include, Davy Crockettm Jim Bowie, Juan Seguin, Susannah DIckinson and William B. Travis.